The alleged Galaxy S5 Prime might have been busted as non-existent by Samsung execs, but they didn't deny the existence of a "luxury" F-line in the making. It is supposed to start with a flagship that will have top-shelf specs like a Quad HD display, a more premium design, and higher price, and will eventually come in limited quantities. Sounds like a recipe for success for those who are jonesing for a more appealing design from a Samsung flagship, plus the company will get to have a direct rival to the LG G3, which is widely rumored to have a Quad HD screen in its turn. The quantity limitation of the premium phone, however, is now reported by Korean media to come naturally, as Samsung is simply not able to produce Super AMOLED displays with 1440x2560 pixels of resolution in meaningful quantities to satisfy the sales forecast of a blockbuster handset. Moreover, such a panel costs much more to produce than a QHD screen based on the LCD technology, which LG is said to be using for the G3. Samsung Electronics was supposed to use a QHD display for its Galaxy S5, but it failed due to the high cost. 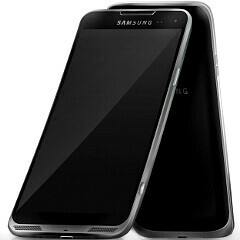 The yield and cost issues around the alleged 5.2" QHD AMOLED screen made it prohibitive to use for the Galaxy S5 itself, as it will likely be selling in the tens of millions, so Samsung decided to put it in a more upscale phone that is about to be released in June, reports the publication. "Samsung Electronics was supposed to use a QHD display for its Galaxy S5, but it failed due to the high cost. As the Galaxy S5 Prime will be rolled out in small quantities, it is highly likely that QHD will be adopted," the source claims, so LG might have a real competitor to the G3 very soon after its introduction. Is it possible this is going to be the first Android Silver device? How awesome would that be? Nope. Samsung doesn't care Nexus/GPE/Silver devices. It's not like Samsung needs marketing help from Google. I would rather think Google needs marketing lessons from Samsung. Certified by "Android Silver" tag means absolutely nothing for common people or sales in general. You don't even have a S5 GPE, why would they care about Silver which is targeted to highlight Google software rather than Samsung product?? I can tell you that the plastic on the S5 doesn't feel cheap at all, Samsung doesn't use glossy plastic anymore so don't judge the quality of the plastic as there are many kinds of plastic that feels good. It does feel better in the hand than the glossy plastic did, but make no mistake, it still feels ridiculously cheap. Arty would be happy with even a crap phone if it is metal. What a maroon. Even the expression "cheap junk plastic" sounds like a child. im not a fan of aluminum phones. I noticed the HTC one and One m8 consistently have weaker signals and have had more issues than the s4 and s5. I work as a phone tech so I have these phones near me all day. Aluminum phones are heavy and Im just not a fan of the feel. You change phones a lot. .. I have been living with a metal phone (One) for almost a year now and never had a reception problem, hilariously as it might seem there were situations that my friend's phones would be out of signal and mine wasn't. Are you really that spec hungry? We're all waiting for the Snapdragon 805, and you're the only one here that's going far away. Do you really need your phone to be super super super powerful? Why not get a gaming laptop if you want such specs? hold on everyone here we have a "power user" who waits 22 seconds for PA site to load. And also according to him iphone 5s uses Arm A15 A57. We can get a idea of his nerd level eh. One, the A7 is NOT ARM A15. It is closer to the A53, if you look at the micro architecture . Two, none of the SD 800 Series processors are in the same league with the A7, and that includes SD 805. The iPhone 5S cannot reach the performance ceiling of the A7 because of memory restrictions, and it's ceiling is higher than anything on, or soon to be on, the market in 2014. Anand did a great article on it a couple of weeks ago. Iphone5S doen not use A15 or A57... Don't you realize that what you just wrote doesn't make any sense? E5422 will still use A15, and those are not far away from the Krait 400 on the Snapdragon 801/805. So you shouldn't care that much till they don't put some good dual core with A57 at least. Cyclone is theoretically more powerfull than A57 though, if that's you standard. Arte is obviously that "TROLL" guy that most of the resident posters of this site will remember. Only he can be that dumb to still go on with the same retarded story even after all this time. Supposedly know the difference between the Krait, A9 and A15, yet he thinks A15 can run a 64 bit code. Just..wow. Oh and Cyclone is absolutely not resembling the A53, that is laughable. Even the A57 is much simpler architecture than the Cyclone. Cyclone is a desktop-like architecture comparable to Core from Intel. It has 6-wide design, and more than double the die size compared to any ARM Cortex core. Hence, to be used in phones and tablets, it has to be heavily underclocked. OK, thanks for telling. After his last resoponses I'll make a mental note not to bother answering him again. He obviously doesn't have a clue. No Exynos is on par with the A7. Exynos is a marketing name for mostly stock ARM, since Samesung still doesn't have an ARM Architecture license. Repeat after me: The A7 Cyclone is the most powerful ARM processor on the planet. Smarter people than both of us have made this proclamation. Are you high? Drunk? Banged your head? A57 is not even near the Cyclone, it is 3-wide vs 6-wide and far more advanced cache adressing. The advantage of A57 is that it is much simpler and smaller so it can be clocked higher. So typically, a 2GHz A57 should perform similarly to 1.4GHz Cyclone, on a 28nm HPM process. But again, the Cyclone is too big and power hungry to be used in a quad core configuration, while the A57 is not. So a typical 4×2GHz A57 configuration will be much more powerful than dual Cyclone. He's posted his list of must-haves for a new device on plenty of articles on PA. Basically he pulls every buzzword from technologies that are in early R&D stages and expects them to go into mass production right now. Spec hungry is putting it nicely... I'd say wildly delusional. Anyone got any good suggestions what i should get next?, Currently using z1 and going to Change in October-november. Either Note 4, Galaxy (F) if its going to happen or LG g3?. There are no any good suggestions at the moment, because the phones you mentioned haven't released yet. Be happy with your Z1 first, it's still a good phone.